CablesOne is an information technology (IT) focused infrastructure company providing world-class consulting, design, supply and installation of infrastructure cabling services for IP telephony, camera and surveillance systems, audio-visual systems as well as networking and support. The CablesOne team continues to progress by keeping up to date and implementing BICSI standards, which provide best practices and expertise in design, integration and implementation of information technology systems and related infrastructure components. We are a BICSI-compliant Outside Plant Designer (OSP), and also a BICSI RTPM and BICSI-compliant Installer. We have solid partnerships with key industry suppliers and strategic partnerships that enable us to provide and implement the best technologies in the industry. We work with small business as well as major enterprises to deliver unique, robust solutions. In industrial environments, it is vitally important that reliable communication networks support production processes. We can help you to deploy structured cabling systems to support the latest LAN technologies as well as Industrial Ethernet and bring them into exposed and harsh areas. Our products are built to meet the stringent standards, transmission needs and environmental requirements of IT and automation solutions. CablesOne telecom Outside Plant (OSP) engineering is capable of designing solutions for facilities, which range from central offices through to outside plant Fiber optic and copper cabling. Our home and office solutions include Campus Networks, Inter-building Network Connectivity, Metro-E and FTTx Network connectivity. 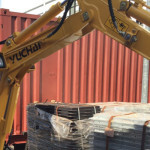 Additionally, Our OSP Team is able to provide the Outside Plant Civil work, which involves Excavation, Underground Ducting, making Manholes and Road Hacking. 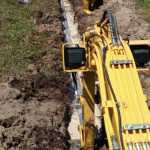 The open cut or trenching method of underground excavation is often the method of choice based on the low density of residential areas and the economy of construction, which provides customers with the greatest value and productivity for the investment made. CablesOne aims to make the trenched area look perfectly straight, so that the restoration quality is high. The overall objective is for people to have trouble identifying where the excavation took place. The need for network connectivity exists not only in enterprise data centres. It also exists in telecom data centres, machine-to-machine (M2M) networks, industrial applications and small office/home office (SOHO) networks. Any device with network connectivity must be protected as well. Given the different conditions CablesOne has cable solutions aimed at different application needs of the telecommunication, industrial control and high-throughput industries. At CablesOne, safety is No. 1 and as such is always a priority. Our daily passion is to promote and enforce safe working practices so that every member of the CablesOne family returns home safe and unharmed each and every day. CablesOne practices and enforces a strict HSE policy that is an industry leader for its breadth and depth and for its daily practice, monitoring and enforcement as well as constant assessment. CablesOne is privileged to have developed a number of close partnership relationships with outstanding providers of engineering, innovation and technology services whose missions and visions are aligned with the customer-oriented mission, long-term vision and family culture at CablesOne. Our common practice is to promote all products and solutions, which comply with international standard practice including ISO, TIA/EIA, IEC, BICSI, FOA and ITU-T.
We provides network operators with the expert testing knowledge and tools to verify the cable quality. With field-proven methods and procedures, smart and integrated to testing equipment. Telecom network, Structure Cabling system, Campus Network, CCTV, FTTx, Outdoor Wireless Network and Outdoor Electronics devices can now be deployed reliably and cost-effectively.